Occupied Wall asks us to break down barriers in the hope of creating community. 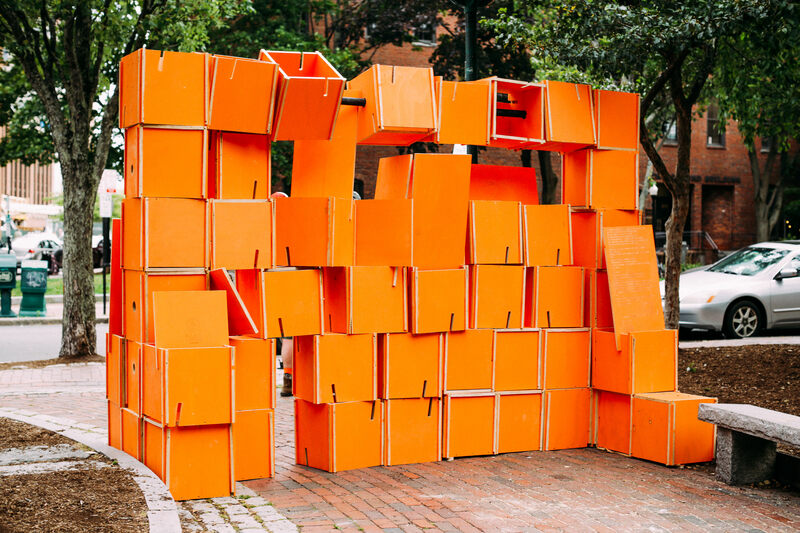 The installation consists of a wall of modular, moveable blocks that can be transformed from a barrier into a gateway that leads to a community gathering space available for all. Join the artist, TEMPOart Portland, and the public at August’s First Friday Artwalk to participate in the transformation of the Wall! Occupied Wall will be temporarily installed in Post Office Plaza during the month of August. The artist and TEMPOart Portland thank Bard Coffee for their additional support of this privately-funded project. Prasch’s Occupied Wall is the third project in TEMPOart’s summer series UNDER REVIEW: The American Dream, and follows John Sundling’s Ghost Fence in the Franklin Street Arterial and Christina Bechstein’s Now We Plant: Seeds for our American Dream at the Boyd Street Urban Farm. All three projects commemorate the one-year anniversary of TEMPOart’s inaugural installation in Lincoln Park, Judith Hoffman’s The American Dream. The summer 2017 projects respond to Hoffman’s sculpture by offering ways to understand the meaning of the “American Dream” today. Christian A. Prasch is an artist and design professional who strives to instigate constructive interaction and community relationships through his design, and treats play and experimentation as his most important tools for developing and realizing his work. He has worked in Los Angeles with Michael Maltzan Architects, ProtoHomes, Design Hunter LA, and Kim Lewis Designs, and earned his Master’s degree from Columbia’s Graduate School of Architecture, Planning and Preservation. Prasch currently works in the Engineering and Infrastructure Group at the Portland Amec Foster Wheeler office.